There are widespread reports that Ethereum Classic (ETC) is under an ongoing 51% attack. On Monday night, Coinbase detected at least $1.1 million worth of double-spends: payments effectively written out of history, amounting to theft from their recipients. Need a primer on 51% attacks and what they mean (or don’t mean) for you? Here’s Haseeb Qureshi’s hot take. Digital wallet provider, Abra, has teamed up with Unbankd to produce Code Meets Money, a cryptocurrency explainer created in the style of a graphic novel for Bitcoin’s 10th Birthday. Take a break and check it out here. You see, a person’s control of their tokens depends on where and how their bitcoin is stored. Folks leave their bitcoins on exchanges, but millions (er, billions) of dollars have been stolen from exchanges by way of hacks over the years. 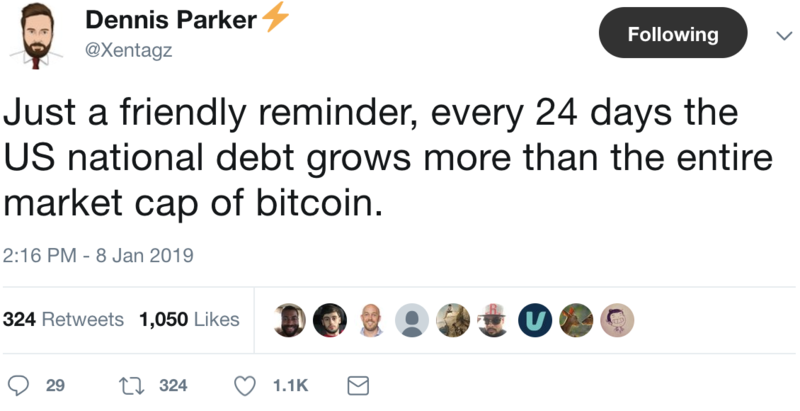 Not to mention, it means users don’t really have full control over their money — a fact many might not realize. Here’s a quick breakdown of the interesting movement determined to give you more control and security over your bitcoins. As a schoolteacher, Jason Bond was $250,000 in debt, working side jobs grinding 90+ hours a week but still stuck with no hope… Until he put his passion and hunger for success into the stock market, where he learned THREE simple patterns that would forever change his life. Jason gained 188% in 2015, 30% in 2016, 284% in 2018 and is on pace to do it again in 2019. You owe it to yourself to take a minute and watch exactly how Jason did it. He’s trained thousands of people to do exactly what he did. The bull run of 2017 was kind to Ethereum… ICO mania led to the issuance of countless tokens… and the price rose from $9 to nearly $1,500 in January of ‘18. But there are dark shadows over Ethereum: scammers have exploited the platform, unregistered securities have been issued, and the promise of a new wave of decentralised applications has not materialised. In this interview, Peter McCormack talks to Tuur Demeester about his recent Tweetstorm breaking down why he is so against Ethereum. Tune in as they discuss the culture of the developer community, reckless approaches to security, risks for investors and the challenges Ethereum faces with scaling and moving to proof of stake. Consultancy firm McKinsey & Company is attempting to throw some cold water on Blockchain mania. Companies, regulators, and financial technologists have spent countless hours exploring Blockchain’s potential, but despite billions of dollars of investment, and nearly as many headlines, McKinsey believes it has yet to become the game-changer some expected. Ultimately… time will tell. Hey Bitcoin critics, instead of rehashing debunked arguments over and over again, read this article to adopt some of the more intricate (yet overlooked) FUD. Recently, Bitcoin developers noticed some strange activity on the blockchain. Specifically, a large number of unidentified transactions were discovered accounting for over 20% of daily Bitcoin transactions, making it more expensive to make money transfers due to the limited availability of block space. Over the weekend, it become more widely known that the entity behind these transactions is VeriBlock, a project that piggybacks on the Bitcoin blockchain in an effort to better secure alternative crypto asset networks. An eccentric millionaire from New York has just released a video that will shock seniors around the country. You see, if you’re like the average American senior…you can expect to collect $1,369 in Social Security benefits. To turn a small amount equivalent to a tiny percentage of their benefits (7% to be precise)… into a retirement fortune. WARNING: This isn’t for everyone. It’s only for those who are brave enough to try something new. If that’s you, click here to see it.